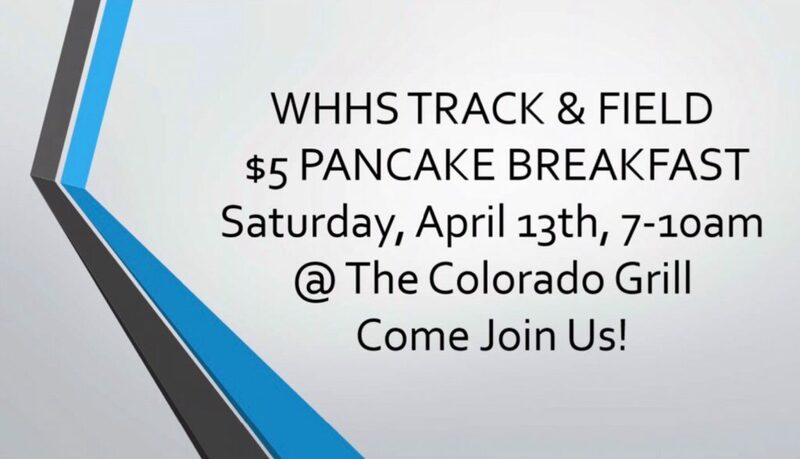 Support the White House High School track and field team on Saturday morning with a pancake breakfast at Colorado Grill. Tickets are five dollars and you can purchase walking in at the door. All proceeds from the event benefit the track and field team, and we look forward to seeing you on Saturday morning!